Come celebrate with us for NATIONAL ARTS IN EDUCATION WEEK! 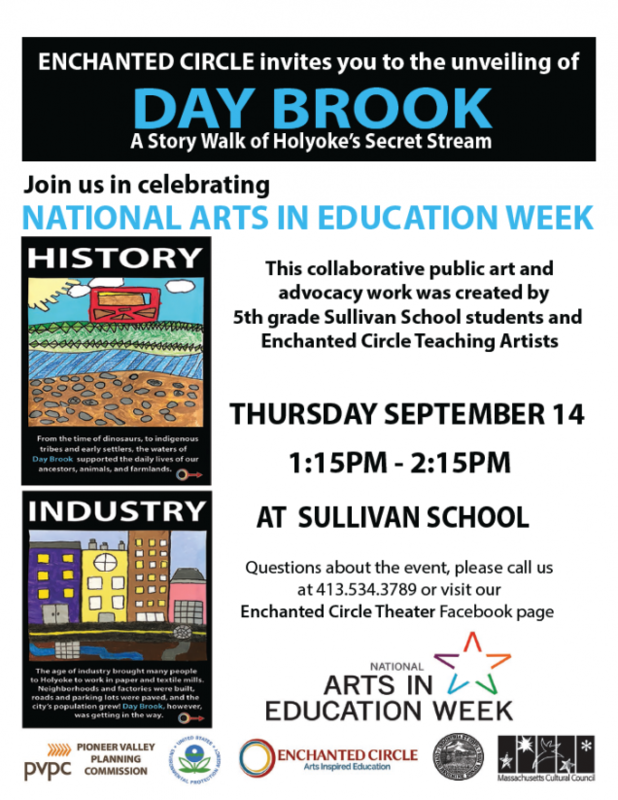 We will be unveiling a Story Walk about Day Brook, a secret stream that is polluting the Connecticut River after its journey through the City of Holyoke’s sewer system. This public artwork and advocacy program funded by the EPA, will travel for the next few months to different sites across the city, following Day Brook’s path.